A powerful and versatile tool for your workflow in Photoshop. Easily get a preview of all available channels. Create and load masks from the channels. Use available masks and the powerful Apply Image option to precisely recover the details of your file. 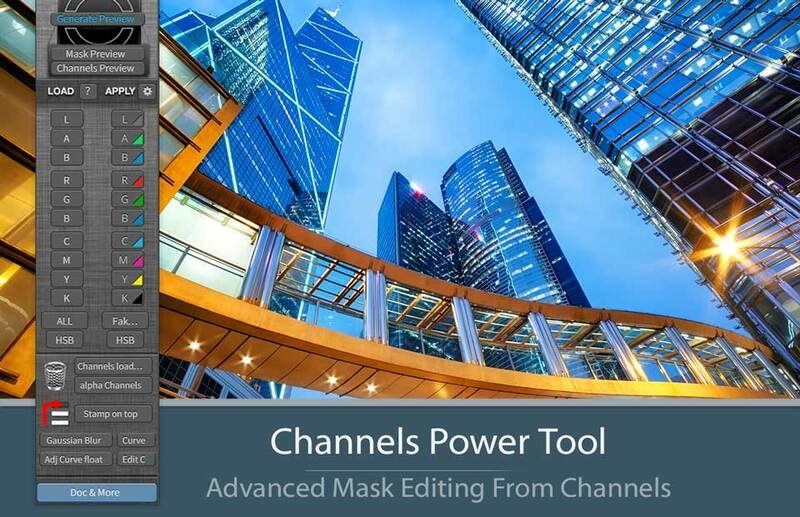 Channels Power Tool will enhance your color control precision and productivity. Ultra fast Channel and Mask Preview, Customizable Appy Image Options, Fake K and HSB Channel (Hue, Saturation, Brightness), for full control of your corrections. Open and edit curves and blur the masks directly from the panel.